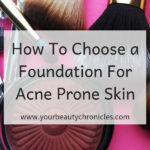 Are you the only ONE you know who suffers from acne? Do you have days when you just want to stay at home and not have to face the world? 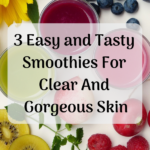 Have you tried absolutely everything possible to clear your skin, but nothing has worked? 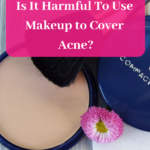 Not only has it not worked but it has made the problem worse and left you with sensitive and itchy skin that burns. Or maybe you are at that point right now where you are considering Accutane even though you know it has horrifying side effects? Do you get jealous when you see people with clear skin? They don’t need makeup and eat whatever they fancy. You, on the other hand, are terrified that the next thing you eat will make your face erupt like a volcano. They get to walk out of the house without thinking twice. You get to spend 1/2 an hour trying to cover up your acne. You drive yourself crazy trying to find products and treatments that work for you. And then there are those treatments that work but the results never last. How long do you think you can continue like this? Do any these statements sound like how you feel? I understand how you feel as I once felt I had absolutely no control over my acne. 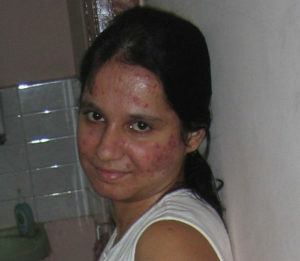 Acne had a life of its own and was destroying mine. The emotional pain of having acne as an adult had nearly broken me down and it was a struggle sometimes to just get up in the mornings. I wanted to scream and rip my skin off as I hated what I saw in the mirror. What if I told you that it does not have to be this way? I know it’s hard for you to believe right now, but bear with me. Take a look at this picture……..
Let me be honest though, this was not the worst of it. 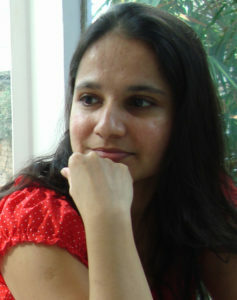 This was a weak moment when I let someone click my picture. Trust me, I was not letting a camera anywhere near me. I can and will help you get results like this. And don’t let anybody tell you otherwise. But hey, wait a minute… how do you know if what worked for me will work for you as well? If you’re reading this you probably have read loads of other sites that tell you of the amazing results you can get if you just follow what they did. But all you get is disappointment….. I don’t give you one particular method or diet to follow. 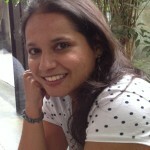 I help you understand how your body works as a whole and work with it to cure acne. Does that sound like a lot of work and complicated? More like a biology lesson? Well, don’t get scared. I am a lazy person who believes in getting maximum results from minimum effort. Let’s face it, what works for one person almost never works for someone else. 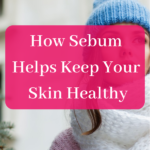 What I have found is that there are various ways to clear your skin, not just one method. 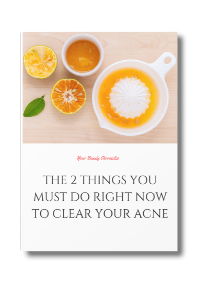 I am constantly discovering more and more about acne and I share these tips with those of you on my email list. I will even share with you links to other sites that I have found helpful because the main aim of my site is that you clear your skin. When it comes to getting clear and flawless skin you need all the help you can get. 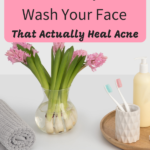 Because let’s admit it, when it comes to acne, life is not fair…….you lead a healthy life and get acne, while your friend who eats everything and anything has the clearest skin ever. Enter your email below to know more and get results like this and so many more of my readers. I’ll send you a free e-book with 2 tips that will start your journey to clear skin.